fter 40 years from inception, we see ourselves as a successful company not alone by our financial figures but by the name and trust we have gotten from our customers over the years. Honesty in this business these days has just become an option. In our case, its our rule of thumb. Let it be one piece of an item, or one bundle or even one container, honesty is to be maintained throughout the portfolio. Of course, being traders, we have different qualities, but we make sure our customers understand what they are buying. We also believe in the rule of one old customer better than several new customers. That’s the simple secret of how we make our customers happy. Another secret to our success could be related to our supplier relationship. To have a good repeat customer portfolio, you ought to have a repeat supplier portfolio. We try minimizing middlemen and import directly from trusted manufacturers. In doing so, we not only sell at reasonable prices, but also increase the confidence level of our customers each time they buy from us. We trade some of the best Softwoods and Hardwoods from all over the World!! To be known as a quality, reliable and trustworthy building materials trader in the region. To sell building materials of high quality, reasonably priced, delivered in time consistently with an environment of friendly, attentive and efficient people. Baniyas has grown over the past three decades to become one of the leading building and decorative material supplier in the region. 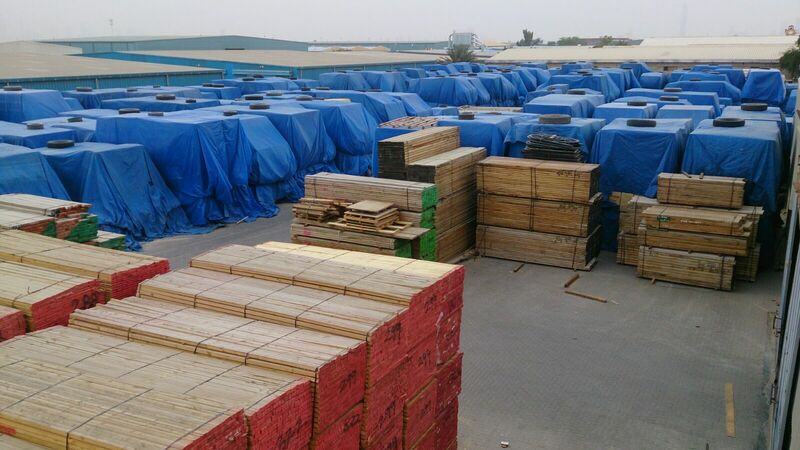 Baniyas specializes in all kinds of Plywood, Timber, MDF, Ceiling & Partitions, Flooring and much more. With over 20 outlets in the GCC, Baniyas can reach out to cater to requirements from all over the region. We have streamlined our operations and infrastructure to serve the booming construction industry in the UAE, Qatar and Jordan.